Follow the steps of this tutorial and set up LiveChat on your GoDaddy-based page. 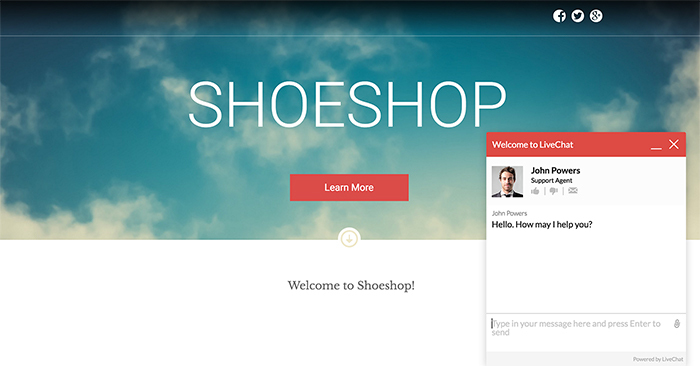 After that’s done, you’ll be able to handle chats coming from your visitors in the real time. 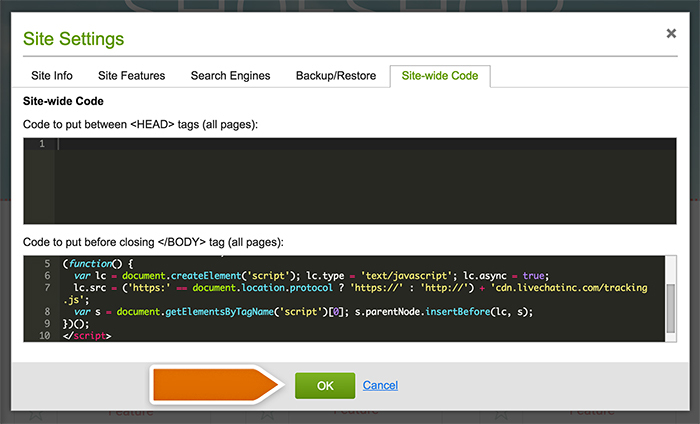 All you need to do is to place LiveChat tracking code into your Site-wide Code section. Let’s get started! Please note that LiveChat plugin is not supported by GoDaddy’s latest website builder – GoCentral. To learn more, start a chat with one of our Support Heroes. First, sign in to your GoDaddy panel. Then click on WEBSITE BUILDER and choose Manage. You will be taken to the dashboard. Click on Edit site on the right. Then click on ≡ icon in the top right corner. Select Site Settings from the drop-down menu. Next, go to Site-wide Code tab. Confirm by clicking on OK button at the bottom of that box. Last step is to publish the changes by clicking Publish button at the top right corner of the panel. Bravo! You just set up LiveChat on your GoDaddy page. From now on you can stay in touch with the visitors of your page.